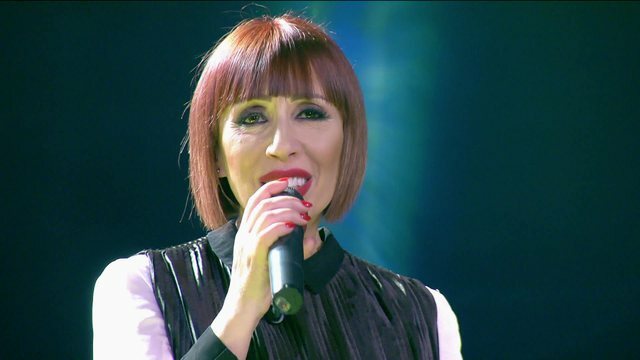 The well-known Albanian music singer, Irma Libohova, has celebrated her 60th birth anniversary. 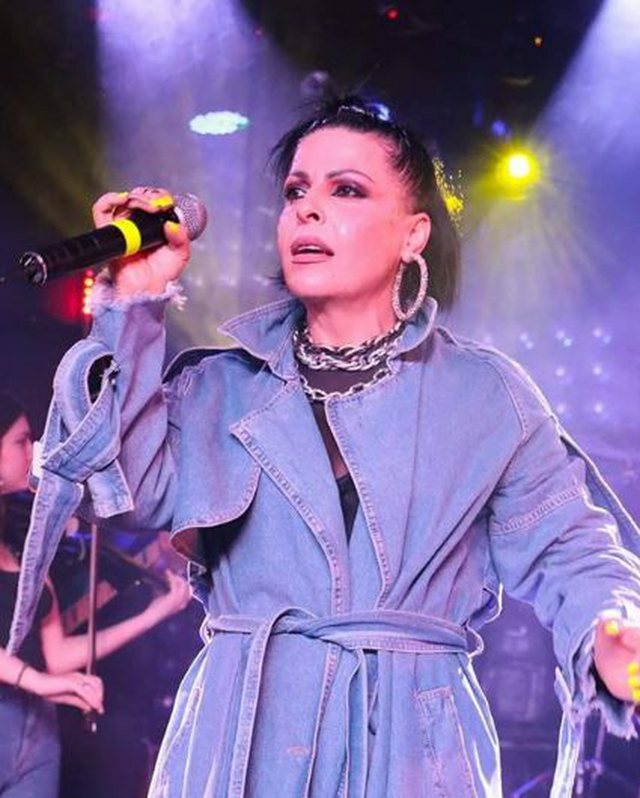 However, in the eyes of Aurela Gaccia she is still 20 years old and inspiration for every new generation, so Aurela is proud to have grown up with her music. 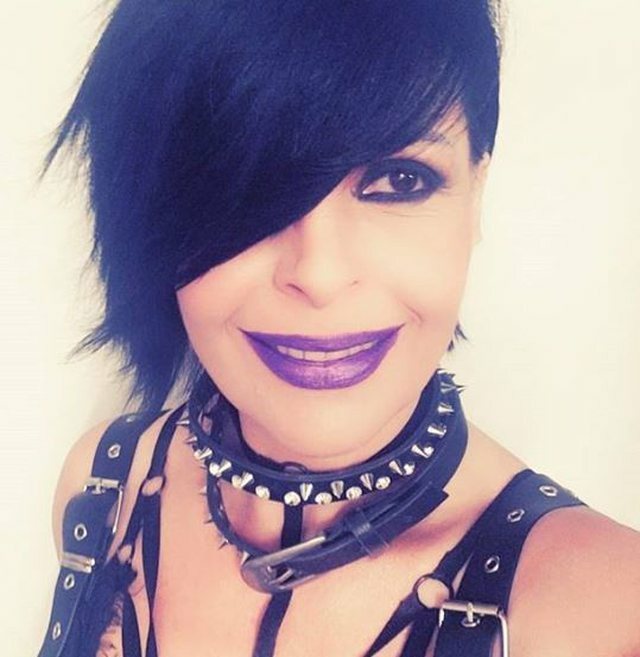 In a status on her Facebook profile, Aurela has made Irma the most special birthday wish, telling her that she will always be her fan. "She's just 20 years old. She has just made 60 passports, but the inexhaustible energy she has is inspiration. I've been, am, and will be your fan. Birthday postings rarely go here, but I can never deny that her figure in the scene, her voice, has grown. Yes, I was maybe 13 when I was at the festival stage, and as a child, I was not able to solve the fame or the name, or maybe I could understand her vocal but the heart chose it. Because the heart feels. Real, sincere feeling. Just as the child does. I only heard her singing, in every show, school competition. When it came out on stage, everyone had to rest because I could hardly wait. 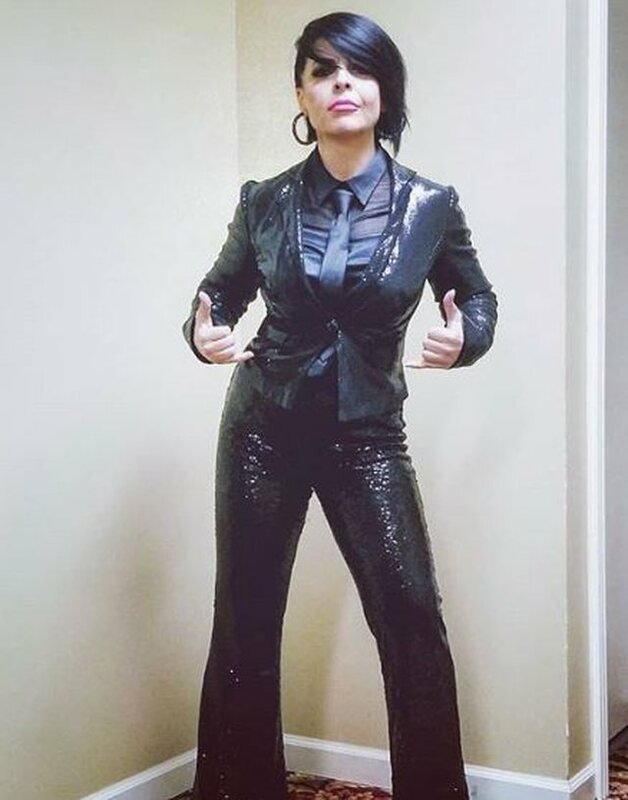 The next day I knew the songwriting, because I recorded it in my head, and for me it was always the winner, even when she did not get the first one. 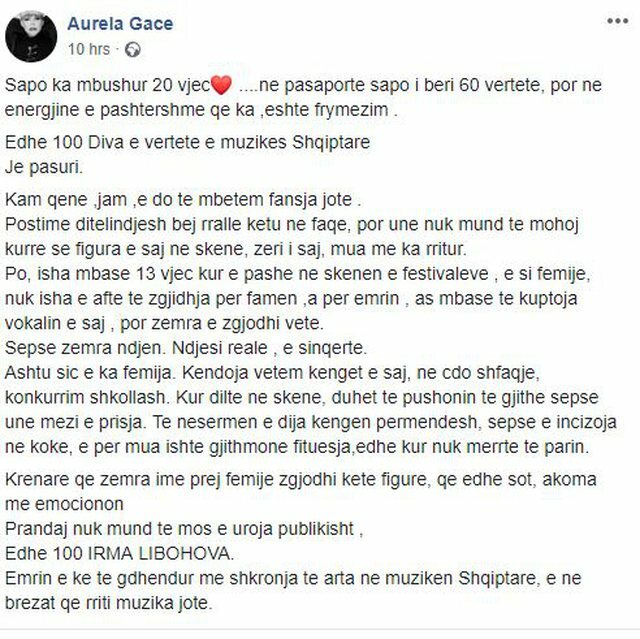 Your name is engraved with golden letters in Albanian music, and in the generations that your music grew up, "Aurela wrote in the post. 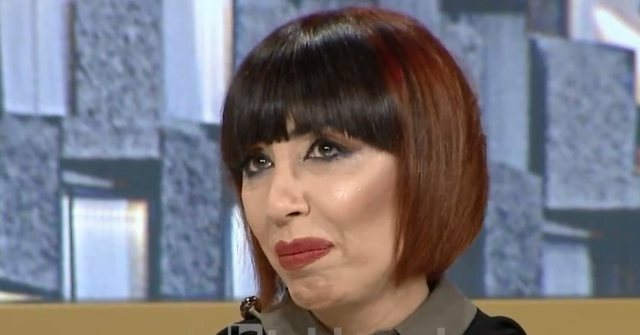 "Sapo ka mbushur 20 vjec. Ne pasaporte sapo i beri 60 vertete, por ne energjine e pashtershme qe ka ,eshte frymezim .